Silky’s large, multi-purpose BIGBOY features 14.2-inch blade and rubber-cushioned, double-fist handle. The BIGBOY utilizes Silky’s MIRAI-ME tooth technology that delivers fast cutting action and long blade life. The low angle curve enables cutting branches smoothly and incredibly fast. Long well-balanced taper-ground blade with impulse-hardened non-set tooth design provides extended working reach, faster cutting and handles large limbs and small trunks with no effort. 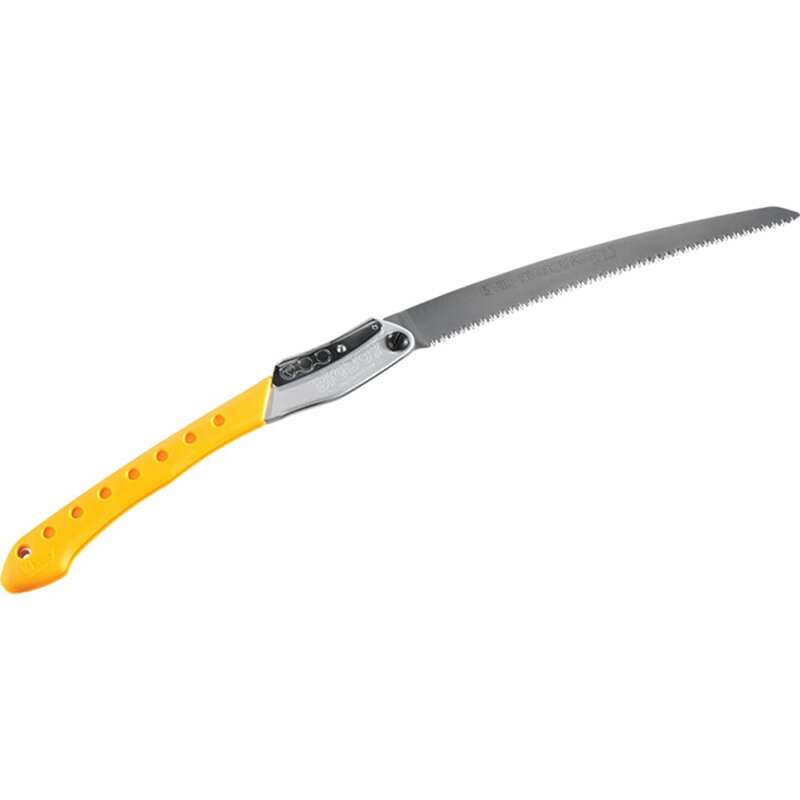 Suitable for cutting green or dried wood.